A Well-Known Microsoft IP In Development At Electric Square, Could It Be A New Fable Title? When it comes to exclusives, Microsoft has not been delivering them as much as they should this generation of consoles but Microsoft has promised that there are multiple exclusive games in development for the console that will come out in 2-3 years and it seems that one of these games is a well-known IP owned by Microsoft and it could be a new Fable title. As noted by Generacionxbox, the game is in development at ELectric Square as sister game development studio for Studio Gobo with which Microsoft has signed a deal to develop the game. As to what this well-known IP could be is anyone’s guess since Microsoft owns a lot of popular IPs like Fable, Forza, Gears Of War, Halo, Gears Of War, Phantom Dust. 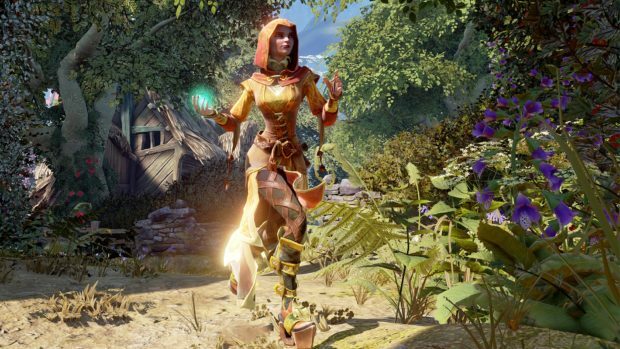 However, recently a leak made its way on the internet that a new Fable game is in development along with Forza Horizon 4 which will be set in Japan. Furthermore, the leak suggests that a Perfect Dark game is also in development so there is a possibility that Electric Square might be working on a new Fable title or Perfect Dark title. However, until Microsoft officially announces the game we can only speculate. Also, given that Microsoft has been supporting PC, we are hopeful that this well-known IP will make its way on PC. Furthermore, it seems that Microsoft has learned its lesson regarding the lack of first-party titles as Phil Spencer has noted that first-party titles for Xbox One should be the strength of the company. According to Spencer, Microsoft hasn’t invested in first-party titles as much as it should have and has seen some ups and downs. We need to grow, and I look forward to doing that. Our ability to go create content has to be one of our strengths. We haven’t always invested at the same level. We’ve gone through ups and downs in the investment. What do you think this IP in development at Electric Square could be? Which dormant IP you think Microsoft should focus on? Let us know in the comments.